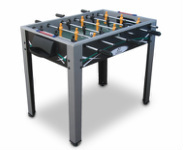 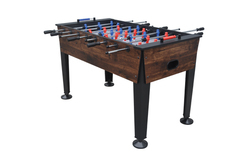 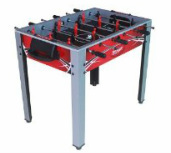 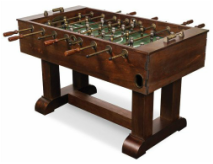 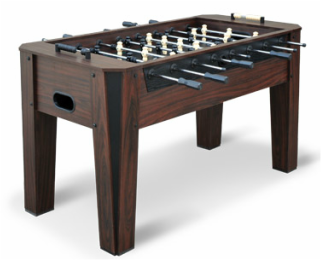 The Chelsea table is a full-size game that features many nice features for the price. 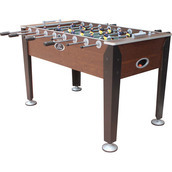 Hands down this table packs a good value for your buck. 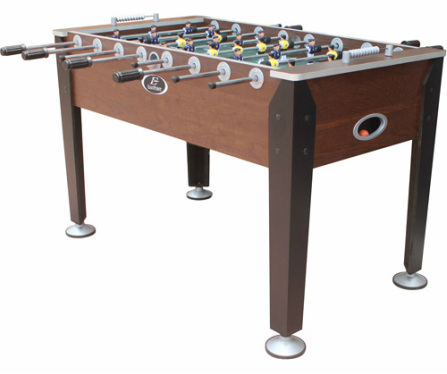 Equipped with blue and yellow players that are life-like, it offers bead-style scoring, large leg levelers, and ball entry cups on each side of the table.